Wat Khruea Wan Worawihan is a third grade royal temple of Worawihan type. Built in 1831 and was granted Wisunkhamasima in 1842, the temple was founded by Chao Phraya Apaiputhon (Noi Boonyarattaphan), son of Chao Phraya Sri Thammarat (Bunrawd, founder of Boonyarattaphan house) and was the father of Chao Chom Khruea Wan, a concubine of King Rama III together with Chao Chom Khruea Wan herself. The temple was given the status of the royal temple. 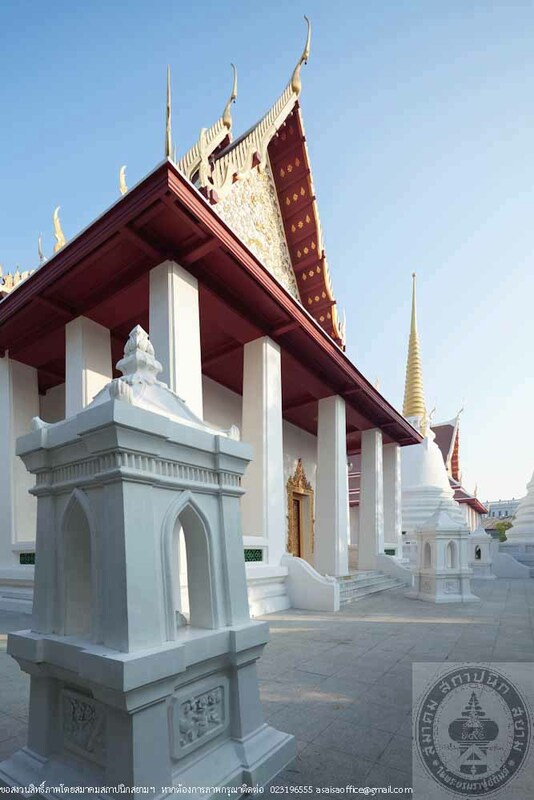 However, Chao Phraya Apaiputhon passed away in 1833 while the temple was still under construction. 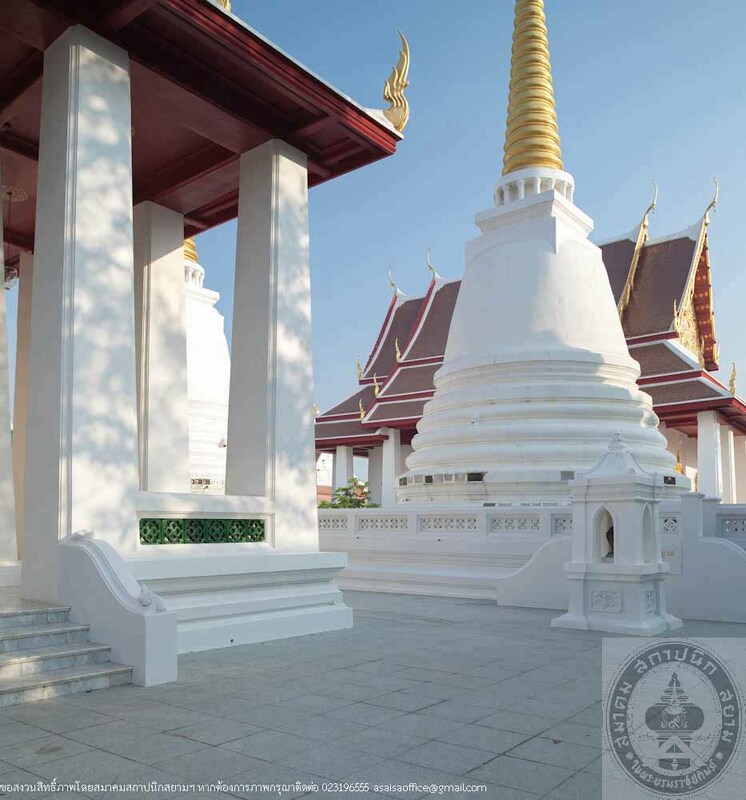 King Nangklao, Rama III completed it and named the temple “Wat Khruea Wan.” On November 9, 1950, King Rama III attended the Kathin offering at Wat Khruea Wan. 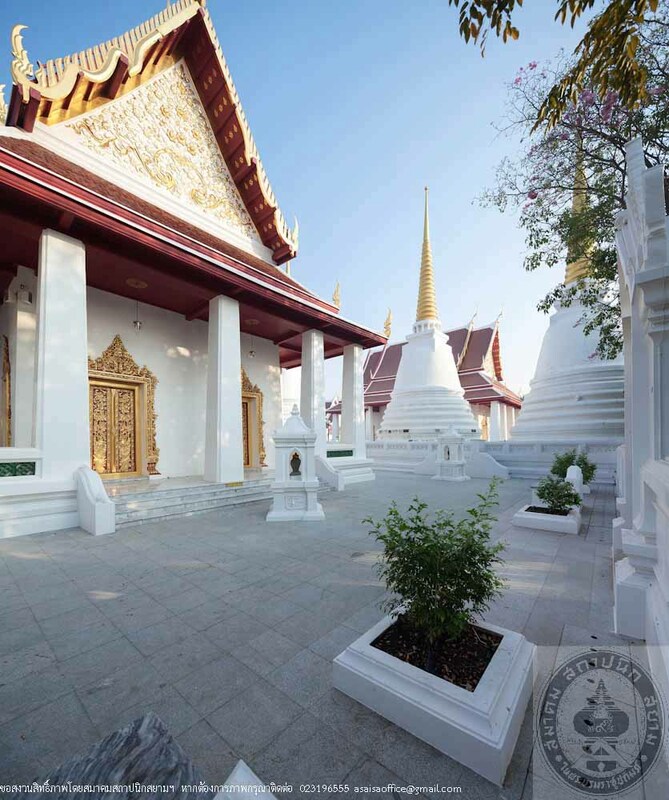 In the succeeding reign of King Rama IV, Chao Phraya Putharapai (Nuch Boonyarattaphan) restored the temple and built a stupa in the front. 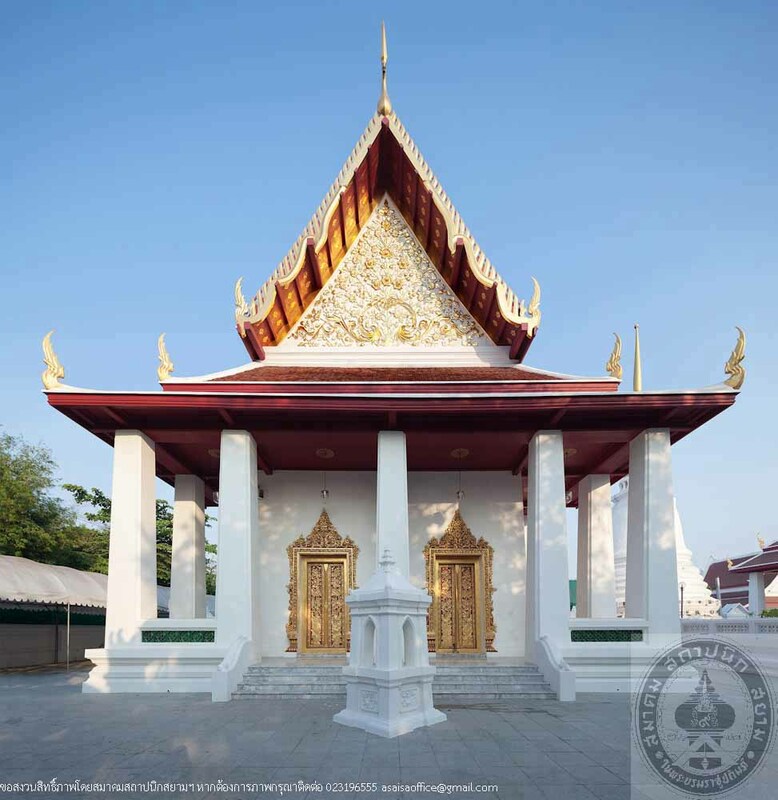 When Chao Phraya Putharapai passed away in 1883, H.M. King Chulalongkorn, Rama V ordered the royal cremation ceremony was held at Wat Khruea Wan. 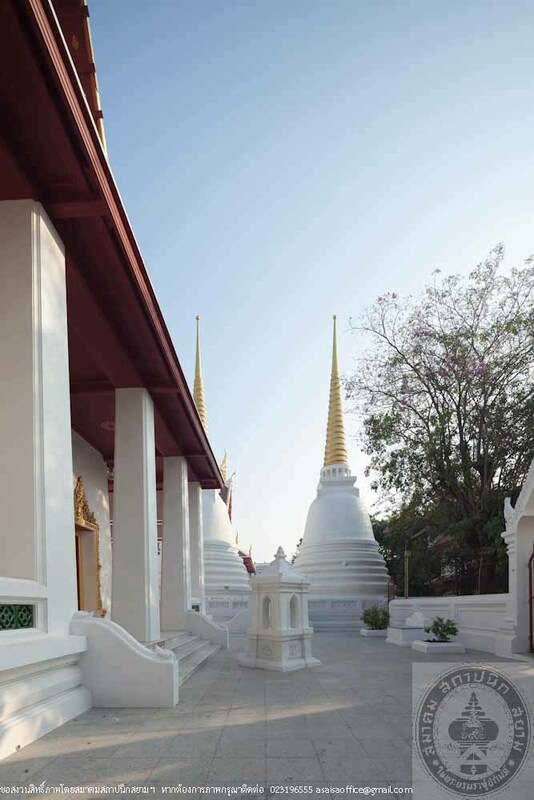 Throughout the Years, the building structures at Wat Khruea Wan Worawihan have been properly maintained and repaired especially the main chapel which had undergone a major renovation from 1986-1990. The Fine Arts Department worked to restore the wall murals in the chapel, replaced the old tiles, Lam Yong, Cho Fah, Bai Raka, ceiling materials and parts of the wood structure on the ceiling. Cement plaster on external walls were also removed and replaced it with ancient recipe plaster (to protect the internal painting.) The aligned pillars received a new cement coating. The main Buddha image was re-lacquered and re-gilded with gold and its base restored to its original condition. New marble flooring inside the chapel. Window arch stucco re-lacquered and re-gilded. The wall surrounding the chapel was also restored. New reinforced concrete flooring for the Lan Prathaksin which raised the floor 15 centimeter higher. Chapel foundation and Sema base which fell through the ground were also restored back to the original forms. The stars patterned on the ceiling in the main chapel were repainted with cinnabar and new gold sheet overlaid. 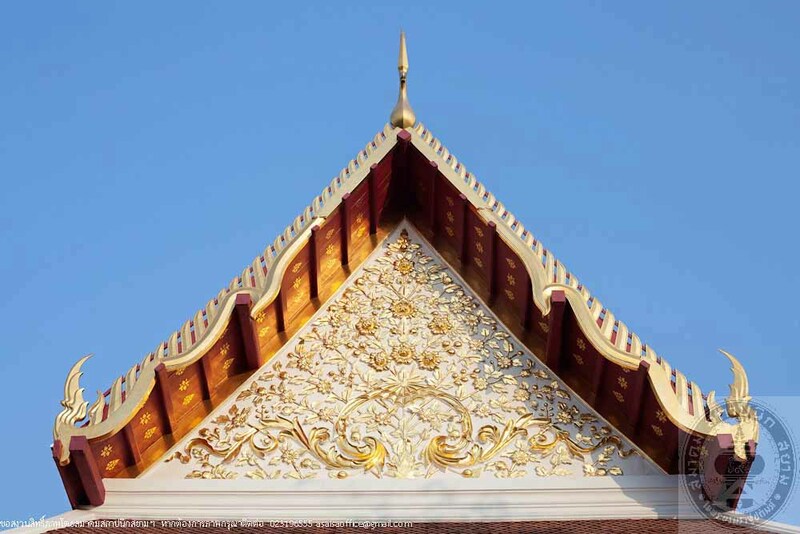 The main chapel of Wat Khruea Wan Worawihan is a Thai style chapel, 7.70 meter wide and 16.25 meter long with double layer roofs decorated with Cho Fah and Bai Raka. 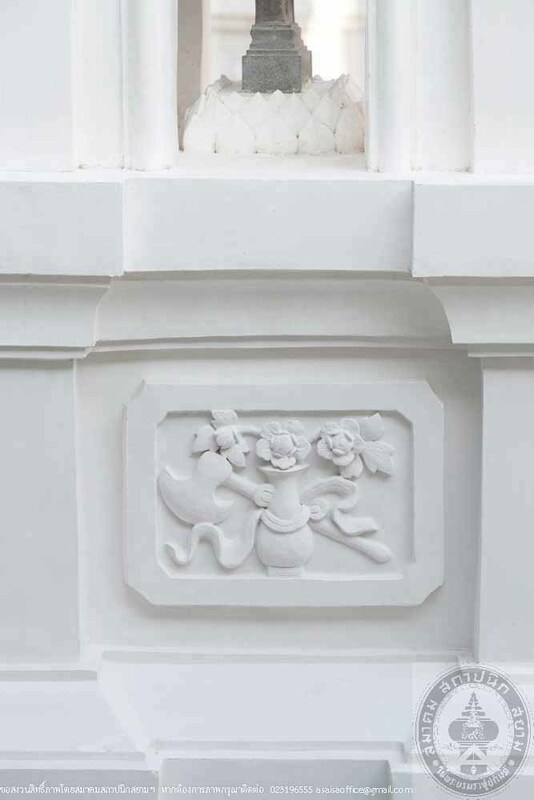 The pediment is embellished with floral patterned stucco. Cloister and verandah have marble floors. Doors and windows arches are decorated with floral patterned stucco, lacquered and gilded. The external door panels were engraved with trees, flowers and birds, lacquered and gilded while the internal were painting of colored seven tiered umbrella carried by soldiers. The exterior window panels are stucco moldings of similar pattern as the doors. All four sides of the chapel walls feature murals depicting the Jataka tale of Lord Buddha’s 500 lives bordered in square frames decorated with painting of Bai Ted leaves and stems patterns. Each frame contains one life story of Lord Buddha. These murals were painted by local artisans in the reign of King Rama III and are uniquely spectacular. 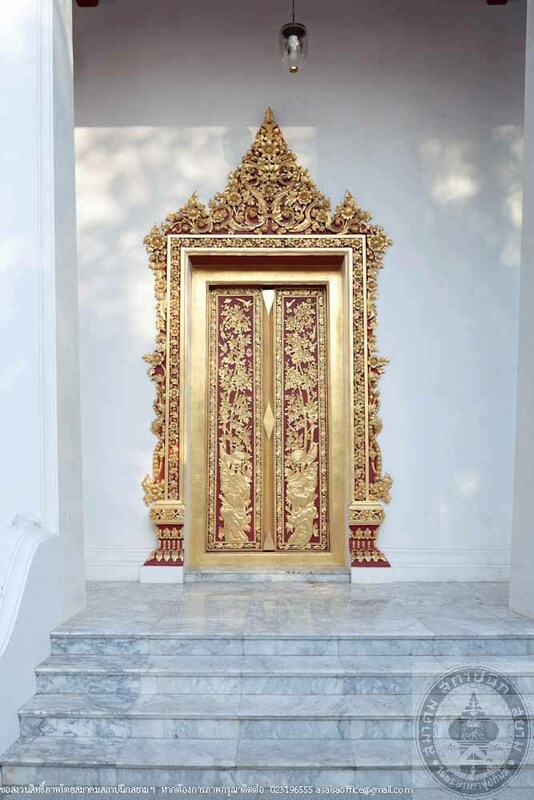 The principal Buddha image in the chapel is of Paang Harm Yaat style, metal cast, lacquered and gilded with gold. 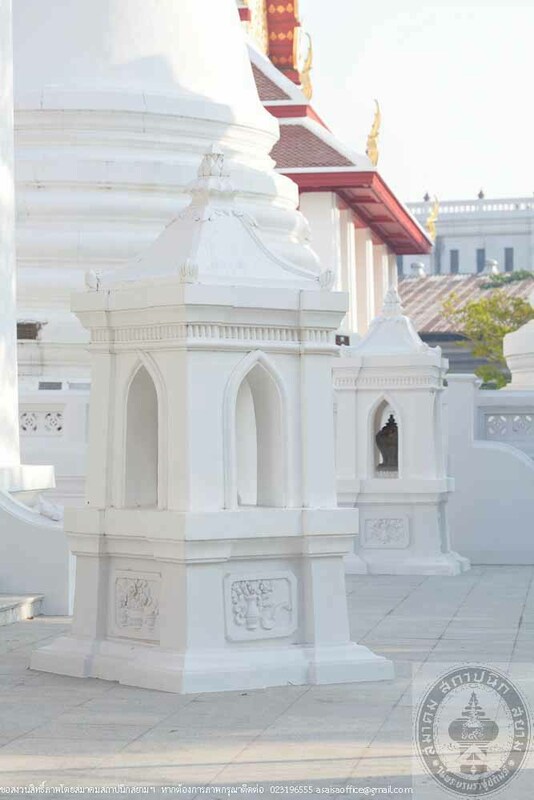 The eight meter tall Buddha image is located on a salient lotus shaped platform with the two chief disciples Phra Sariputta and Phra Moggallana standing on the right and left.